Hassaan Shahawy ’16, a concentrator in history and in Near Eastern languages and civilizations, from Pasadena and Mather House. Alacha is “concentrating in Social Studies. For his senior thesis, he is studying global human rights institutions and examining their effect on local practices in Jordan. He is head captain of the Harvard Mock Trial Association, and the CEO of the Harvard Model Congress, the country’s largest annual simulation of the U.S. government for high school students. Neil is also active as a peer tutor. He is the son of a Syrian immigrant and is interested in the movement for Islamic human rights.” Alacha plans to pursue an M.Phil. in modern Middle Eastern studies at Oxford. Huckins is “concentrating in Neurobiology and Physics. Her passion is computational and theoretical neuroscience. She hopes to uncover the mathematics that govern the networks of neurons that make up the brain, and particularly those that create the thought and feelings that differentiate human beings. She has done research in neuroscience in the U.S., Japan, and France. Grace is also the Arts Chair of the Harvard Crimson, and was the President of the Radcliffe Union of Students. She has qualified several times for U.S. National and Junior Olympic fencing championships.” Huckins will pursue a D.Phil. in neuroscience. Hyland “majors in Near Eastern Languages and Civilizations (Islamic Studies). Her primary academic interest is the common intellectual heritage of medieval Islamic and Christian theologians. With advanced proficiency in eight modern and classical languages, she is especially interested in how medieval philosophy, with roots in ancient Greece, can offer insights into modern attitudes towards international and intercultural understanding. She is a leader in community and campus work, especially addressing the problem of sexual assault. Rivka is also captain of her intramural rowing team.” Hyland will pursue an M.Phil. in scholastic theology. Lam is pursuing “a joint concentration in Neurobiology and Philosophy. He is interested in philosophical problems of free will, moral responsibility, and punishment, and has career interests in criminal justice reform. He is an active advocate of the effective altruism movement, was editor-in-chief of the Harvard Review of Philosophy, was one of two undergraduates on Harvard’s Committee on General Education, and is Executive Editor of the Harvard Crimson. He also holds the Guinness World Record for the longest time standing on a Swiss Ball.” He will pursue a B.Phil. in philosophy. The Harvard Crimson report on the Rhodes winners appears here. 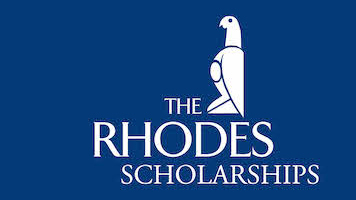 Read the Rhodes announcement, and short biographies of all 32 winners from the United States, at links provided by the Rhodes Trust website. An Australian Rhodes was subsequently awarded to Yen Pham ’15, a second-semester senior in Dudley House concentrating in English. This story was updated December 4, 2015 to reflect the addition of sixth Rhodes scholar from Australia.